RoHun is the Transpersonal / Energy Psychology / Spiritual Psychotherapy of the future... here now! RoHun is a loving process of clearing, healing and reprogramming unhealthy cellular memory. It is cooperative self-healing through knowledge, love, understanding, forgiveness, and release that makes RoHun a powerful tool for transformation. Self-acknowledgment and self-esteem are the primary objectives. Through a unique blending of heart-centered intuitive talk therapy, creative imagery, and human energy field manipulation, RoHun rapidly moves the client from ‘feeling stuck,’... to the basic purification of emotional traumatic issues,... to the advanced stages of transformation, discovery, and Higher Self awareness. Through extensive research, it has been concluded that 1 year of RoHun Therapy is equivalent to 8 years of traditional talk therapy! RoHun is a systematic and rapid-acting psychotherapy for personal growth and change. An energy based method of healing, RoHun uses the electromagnetic fields surrounding the physical body to work simultaneously to integrate the physical, mental, emotional, and spiritual bodies. 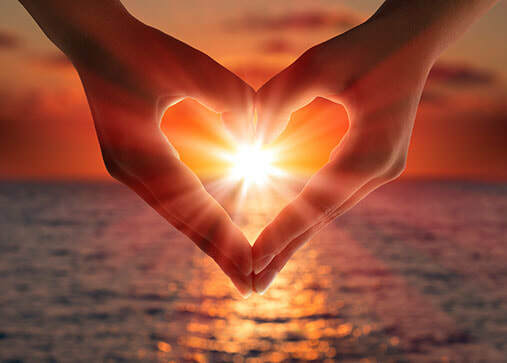 It combines both transpersonal psychology and metaphysical spiritual techniques in a rare and unique heart-centered holistic process. RoHun connects us with the vitality and perception of our True Self. It energizes and renews our beliefs about self. RoHun is a way of life, a way of dealing with everyday adversities, everyday tests and challenges, and everyday living. RoHun deals with the negative emotional circumstances and events that have caused us to sabotage and isolate ourselves from the people and things we desire. It addresses the traumatic and seemingly unimportant happenings that have tainted our perception and negated our belief in self. RoHun is the enlightened spiritual system of changing core beliefs. RoHun is not having a therapist magically touch you and make you well. It is a cooperative effort of both the therapist and the client entering the areas of blockage and faulty perceptions, eliminating the fault factor, and reprogramming faulty patterns to thoughts of love, wisdom, confidence, and strength. It is the gentle and powerful transformation therapy of the future, here now! TO DISCOVER AND KNOW YOUR TRUE, AUTHENTIC SELF. ROHUN GIVES RECOGNITION TO YOUR SOUL! ROHUN WILL OPEN THE DOOR TO INFINITE POSSIBILITIES THAT AWAIT YOU! RoHun is not for everybody. It is for those who are ready to step into Authentic and Enlightened Living. * The RoHun Cleanse and Basic Purification processes might be all you need to make huge breakthroughs and lasting shifts in your spiritual consciousness. Please contact Linda to schedule a consultation.